26-year old man in Nahariyah posed as a kashrut supervisor, gave phony certificates to scores of businesses. Police are investigating a case of massive kashrut fraud in northern Israel. According to Behadrei Hareidim, the suspect presented himself as a kashrut inspector using forged credentials, and certified scores of restaurants that in reality did match the necessary standards that Jewish dietary law requires. The Rabbinate's Kashrut Fraud Prevention Unit's suspicions were first aroused when they noticed that several businesses were presenting themselves as kosher, despite their certificate being signed by a rabbi they had never heard of. In addition, in cases where the certificate was signed by a known rabbi, the rabbi in question told the rabbinate that he had never signed any such document. 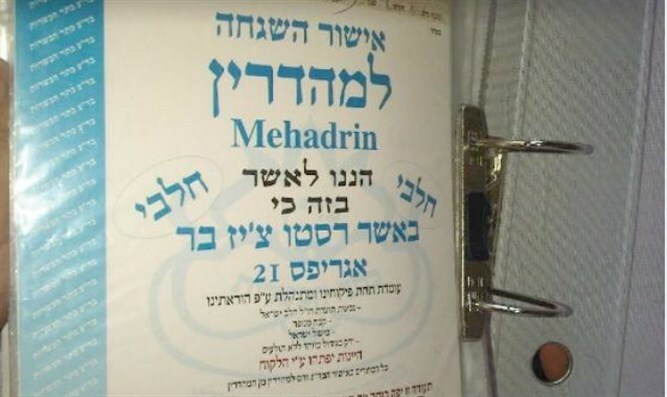 The businesses in question were heavily fined for retaining kashrut certification from a private individual, against Rabbinate policy, which demands that it be done through the local municipal authorities. The report stressed that the fraud was especially egregious, due to his documents being obviously forged. The suspect had presented credentials that were 13 years old, and was signed by Chief Rabbi Yonah Metzger, who had not yet taken office when the form was ostensibly issued. Other cases of kashrut fraud have surfaced in recent months. In June, Rabbinate inspectors found that a meat plant selling hot dogs under the label 'Beit Shean Meats' had marketed its products for years as kosher, despite not having a kashrut supervisor. The plant, which was owned by Arab residents of Hevron, was shut down, and police opened a fraud investigation.